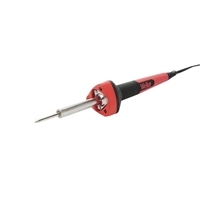 Weller Consumer Soldering Irons w/3 LED's. Three LED lights for limited application shadowing. Round Co-molded soft grip handle design for easy tip positioning.